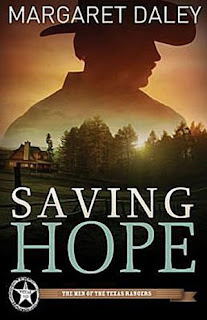 Saving Hope by Margaret Daley is a great Christian Fiction read. 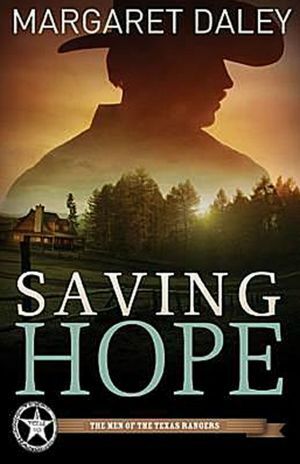 When a teenager goes missing from the Beacon of Hope School, Texas Ranger Wyatt Sheridan and school director Kate Winslow are forced into a dangerous struggle against a human trafficking organization. But the battle brings dire consequences as Wyatt's daughter is terrorized and Kate is kidnapped. Now it's personal, and Wyatt finds both his faith and investigative skills challenged as he fights to discover the mastermind behind the ring before evil destroys everyone he loves. This story opens up the world of human trafficking and prostitution of minors. I thought the author did a good job of tying mystery, action, with a touch of romance. The strength of Kate's faith is evident through some of the girls that she helps at Beacon of Hope, like Rose. The twists and turns in the story, though seemingly obvious at a few points, were surprising to me at others. That's what I liked about this book. When I thought I knew what was going on, I was only partially correct. This is a wonderful story about faith being the one thing to hold on to when everything else in the world seems to be going wrong or dragging you down. This is a definite read for Christian Fiction fans who enjoy both mystery and romance.